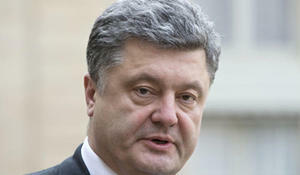 Ukraine’s President Petro Poroshenko will pay an official visit to Azerbaijan on July 13-14, said a message posted on the Ukrainian president’s website July 11. 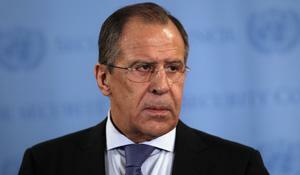 Russia’s Foreign Minister Sergey Lavrov is visiting Azerbaijan. Russia’s Foreign Minister Sergey Lavrov will visit Azerbaijan July 11-12, said Russian Foreign Ministry’s spokeswoman Mariya Zakharova July 7. The World Bank (WB) Regional Director for the South Caucasus Mercy Tembon will arrive in Azerbaijan on June 13, the WB Baku office told Trend June 11. Azerbaijan's friend is a friend of Turkey, while Azerbaijan's enemy is an enemy of Turkey, said Turkish Prime Minister Binali Yildirim at a press conference with Azerbaijani President Ilham Aliyev in Baku June 3. UK Prime Minister's Trade Envoy for Iraq Emma Harriet Nicholson, Baroness Nicholson of Winterbourne, will visit Baku, Azerbaijan, on May 31- June 6, the UK Embassy in Baku told Trend May 27. The President of the European Bank for Reconstruction and Development (EBRD), Sir Suma Chakrabarti will visit three Caspian Sea states next week. Speaker of the Latvian parliament (Saeima) Inara Murniece will visit Azerbaijan this year. The head of Dagestan Ramazan Abdulatipov will visit Azerbaijan's capital Baku on May 12-13.